A German woman of Moroccan origin is on the verge of being hanged after a, Iraqi court condemned her to death for colliding with the Islamic State group (IS) to carry out crimes. “The defendant admitted during interrogations that she left Germany for Syria then Iraq to join ISIS with her two daughters, who married members of the terrorist organization,” Bayraqdar said. Iraqi authorities in December declared victory over ISIS after three years of bitter fighting to roll back the group’s control over parts of the country. Thousands of foreign fighters joined the ranks to ISIS to fight in Iraq, Syria and Libya. She is the fifth known German women undergoing prosecution in Iraq for their involvement with ISIS, reports say. 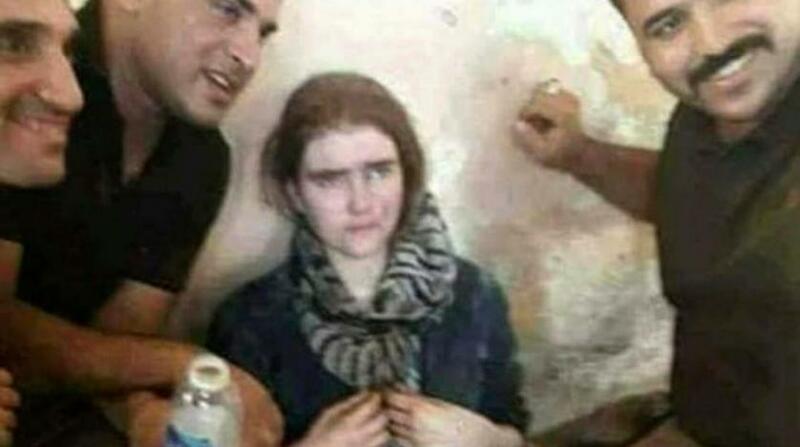 A German teenage girl, aged 16, identified as Linda Wenzel was arrested and indicted in September along with three other German women in Mosul, which was the last major Iraqi city controlled by the terror group. A Russian man, allegedly an ISIS fighter, was in the same month condemned to death by hanging after his capture in Mosul. There are no official figures about the number of ISIS members that were killed or arrested during retake campaign. However, Middle East Eye reported, citing police chief General Wathiq al-Hamdani, that in the province surrounding Mosul alone, more than 4,000 militants were arrested. Written by: KanelkaTagba on January 22, 2018. Posted by KanelkaTagba on Jan 22 2018. Filed under Headlines, World News. You can follow any responses to this entry through the RSS 2.0. Both comments and pings are currently closed.